I see the outcome of this folly already. Somewhere in the vastness of this World, likely multiple points American will be kidnapped with a fuse burning down. They'll announce from the outset that if an exchange does not take place by a certain time they'll behead burn quarter or some other Barbaric Act. How is it that after the White House show the elder Bergdahl contacted the Taliban spoke with them in Arabic and alluded to some promise Obama made but he told them the time wasn't right yet. There were a few by-lines on this and it went ice cold? 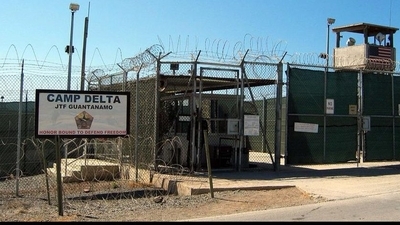 Is the latest attempt to close Gitmo an attempt by POTUS to appease IRAN because Hezbollah has a base in Cuba and could therefore claim a 'moral' victory of beating back the evil imperialist USA? They will lawyer up at the taxpayers expense. It would not surprise me if Eric Holders law form reaped in Millions of $$$$$$$$. They did in the past. This is another feel good disaster waiting to happen! !